With a generously wide seat, the Franklin Dining Chair by Zuo is the optimal seating choice to upgrade your modern dining experience. High arms and a sleek back offer optimal support while its solid birch wood frame it sturdy and durable. 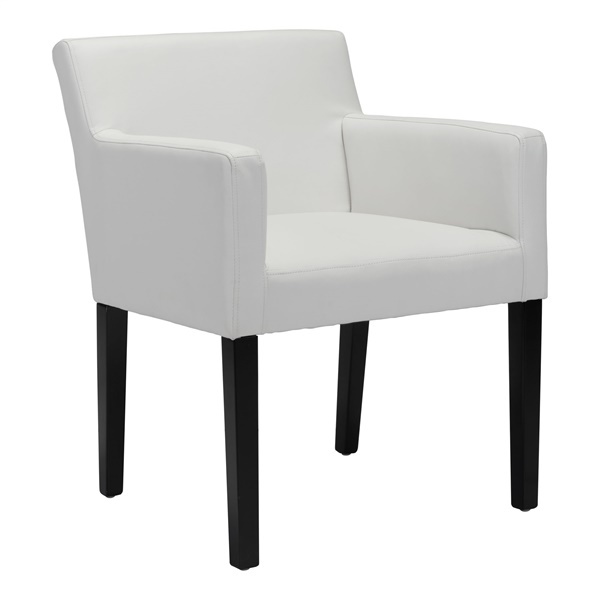 It is available in beige linen-blend fabric or white leatherette to meet your decor needs.